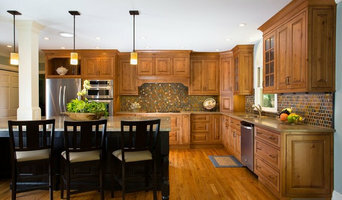 Victoria Renovations is an established leader in the luxury remodeling industry. We aim to exceed each client’s expectations by ensuring our jobs are strategically planned, scheduled, & on budget. Legendary Renovations has been providing it's customers with all inclusive services for custom building and remodeling since 2003. I have built complete homes ranging from $350k to $1.1 million. Royal Construction Group, Inc. has been in business for 18 years and is known for high quality new home building and remodeling. Our services range from custom designed homes to additions & remodels. GCG is dedicated to providing the highest level of customer service at a reasonable price without compromising quality of workmanship. We are a locally owned and operated company that values honesty and integrity and treats your home as if it were our own. We offer a variety of general contractor and home improvement services. We're A & A Renovations Corp. Our team has over a combined 15 years of professional experience in Painting, Drywall, Kitchens, Bathrooms, Basements, etc. JD Helton Homes is a general contractor specializing in new construction, high end remodels, and outdoor structures. With over 30 years of experience, we focus on quality in a timely fashion. With over 40 years of combined residential design and construction experience, ARC Residential is here to create and craft your new home construction or remodel. Our emphasis is on quality workmanship at reasonable, competitive prices. Whether you’re a designer, decorator, builder or homeowner, we will work hard to fit your budget. Lowell J. Figur has 2 decades of experience in Atlanta’s fast-paced residential real estate market. Coupled with his extensive home renovation expertise, Lowell is ideally suited to meet your needs. We are interested in being “your go to people” when it comes to building a new home or an addition, remodeling your kitchen or bathroom, finishing a basement or doing a whole house remodel project! 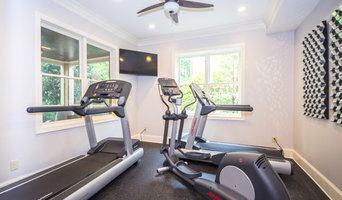 Dove Studio Kitchen and Bath of Atlanta combines design and convenience with high quality cabinets and service committed to providing you more for your money. We work with you personally to help you make smart choices and turn your project into a reality. 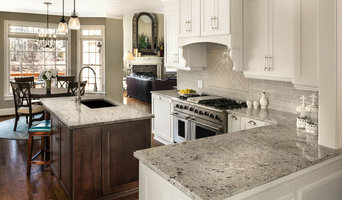 Our showroom is a destination for consumers, interior designers, architects, remodelers and builders throughout Atlanta. The designers at Dove Studio make it a priority for you to feel at home in your own kitchen or bath and endeavor to work with you to create custom living spaces that reflect your individual taste and needs. We provide a customer experience that values the customer's tastes while providing decades of design experience at the client's finger tips. What brought us together is a shared love of design, a love for others and an honest desire to make a difference in our client’s lives. We possess the knowledge and experience to incorporate innovative and forward thinking into our designs. Each project is unique and each client is special, which is part of why we enjoy what we do and the people we are blessed to work with. It takes careful planning, knowledge and attention to the smallest of details to create an exceptional setting that will enhance one’s lifestyle for years to come. Dove studios divers, world-class Kitchens, Baths, Libraries, Media Rooms and Wet Bars grace some of the most livable homes in Atlanta. We strive to create affordable, unique and luxurious designs for all of our clients. Our award-winning designers stand ready to bring your dream to fruition, on your budget. We provide our clients with creative design solutions, quality construction craftsmanship & exceptional investment value for residential design build remodeling services. We believe that stunning designs start with a simple idea, a pen and paper. Through our wide range of services we’ll make sure that your expectations are not just met, but exceeded. Personalized, dedicated service is our specialty, and no one else can match our commitment to it! Whatever your needs, we will do what is necessary to make your property as good as new.